In this Swell Investing Review, we’re going to show you the details of how Swell works, what causes it cares about, and whether investing with Swell is the right choice for you. Swell absolutely is legit. If you want to grow your wealth by investing, but not send your dollars to big businesses harming the environment, Swell Investing might be the perfect choice for you. As the first robo-advisor solely focused on socially-conscious investing, Swell helps investors match returns with a positive global impact. The Bottom Line: Swell takes a unique approach to investing and has the most robust socially-conscious investment option on the market today. While you likely won’t get the diversification you need to invest your entire portfolio at Swell, it provides a solid option for those who want to support companies working to better the world. Best For: Swell Investing is a good fit for impact focused investors that are looking for growth and have a long time horizon. Swell Investing is a new robo-advisor, investing in high-growth companies that are working to solve the world’s biggest problems. Los Angeles-based and founded in 2015, it only started investing funds in September 2016. Swell is owned by California-based insurer Pacific Life, that funded its start-up and provided seed capital for all six of its investment portfolios. The company aims to make Sustainable, Responsible and Impact Investing (SRI) available to the broader public, a service that has previously been limited to very large investors or specific ETFs that lacked certain screening measures. As of May 2018, the company had $20 million of assets under management. Compare this to the industry-leading robo-advisor, Betterment, that has over $13.5 billion in investments, it is easy to see that Swell is the new kid on the block. But demand for a socially conscious investment service like Swell is high among millennials, which could help drive the company’s growth. How Does Swell Investing Work? Our Swell Investing review would not be complete without an explanation of how it works and where your money goes upon investing with them. Invest in companies that are focused on improving energy efficiency, building energy and resource-conserving products, and reducing strain on the world’s energy infrastructure. Investments include Tesla Motors, Edison International, and Aptiv. Invest in companies that are taking part in recycling and reducing our globe’s waste. Investments include Eaton Corp, Steel Dynamics, and Waste Management. Invest in companies that are adding more renewable energy power and improving the technology behind it. Investments include Transdigm Group, NextEra Energy, and Eversource. Invest in pharmaceutical and biotech companies fighting major health challenges and diseases. Investments include Biogen, Merck, and Shire PLC. Invest in companies focused on fitness, food, and using technology to improve lifespan and health. Investments include Dexcom, AbioMed, and Lululemon. Swell’s proprietary algorithm screens out destructive industries, uses bottom-up analysis to select companies addressing social or environmental issues and prefers companies with favorable growth trajectories and transparent disclosure. This creates a natural focus on U.S.-based small-cap growth stock, which can potentially pose a problem for portfolio diversification. Trading in individual stocks, instead of ETFs, Swell can lead to short-term capital gains. Especially as the company rebalances portfolios at least quarterly, which can involve selling shares. The company currently doesn’t have a tax-loss harvesting function to offset this cost drag, while larger robo-advisors like Betterment and Wealthfront do. With the majority of Swell’s investments currently in taxable accounts, this can be a problem for investors. Swell Investing Fees: How Much Does It Cost To Invest With Swell? Swell charges a flat 0.75% management fee. Since the company owns individual stocks instead of ETFs, there are no underlying fund fees beyond the 0.75%. 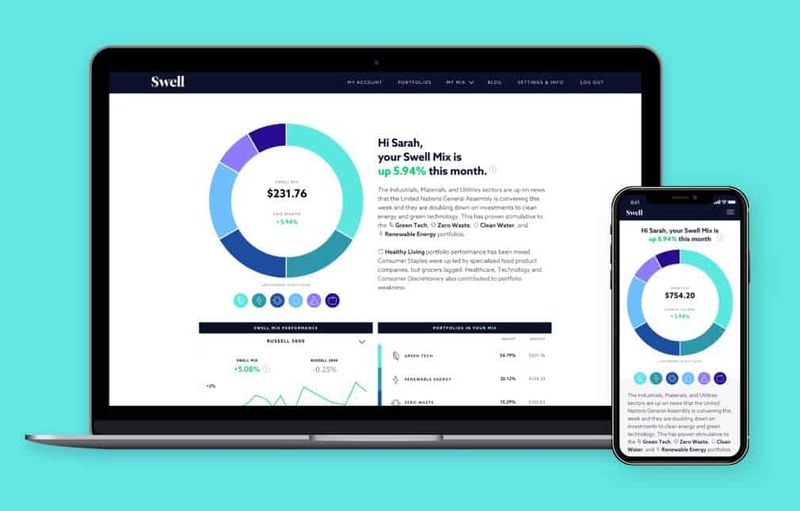 Invest $10,000 with Swell, and you’ll pay $75 a year in Swell investing fees. What Are the Drawbacks of Swell? Swell is still a very new company with very limited investments under management. This does create some question about the long-term viability of the business. While the backing from parent company Pacific Life is a good sign, if the company doesn’t continue to attract customers it may lose out to more significant players. Also, Swell’s investment strategy isn’t highly diversified. While Betterment invests over 12 asset classes and Wealthfront 11, Swell only invests in one: U.S. small-cap growth stocks. This means these portfolios are likely to have extreme volatility over time, which isn’t a good fit for all investors. Costs are also higher than most robo-advisors. 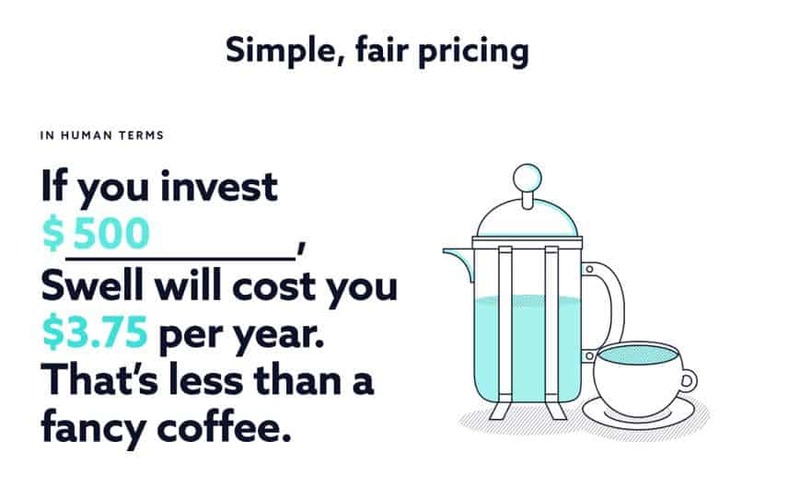 Even Wealthsimple, which is a larger robo-advisor that offers an ETF-based socially-responsible investment fund, starts fees at 0.50% and has tax-loss harvesting. While the difference between 0.25% at Betterment (plus 0.08% ETF fees) and 0.75% might seem like pennies, it isn’t over time. With a 20-year investment horizon, you could end up sacrificing 8% of your investment to fees. Finally, socially-conscious investing isn’t as straightforward as many think it would be. People new to the space might expect to only see companies in their portfolios that are doing great things. Seeing what makes a company suitable for an SRI portfolio isn’t always apparent to the outside observer. Take Cummins, for instance. It is 3.4% of the Zero Waste portfolio. And while they create some great products that treat engine exhaust, they are still one of the largest combustion engine producers for 18-wheelers. Swell investing does not yet have a dedicated app. But the site is well maintained and mobile friendly, making is easy to check your account on the go. Is Swell a Good Investment? Because Swell provides meaningful portfolios for investors to invest in, it really is a good place to take part. Why not earn interest while supporting a cause you believe in? Who is Swell Investing a Good Fit For? 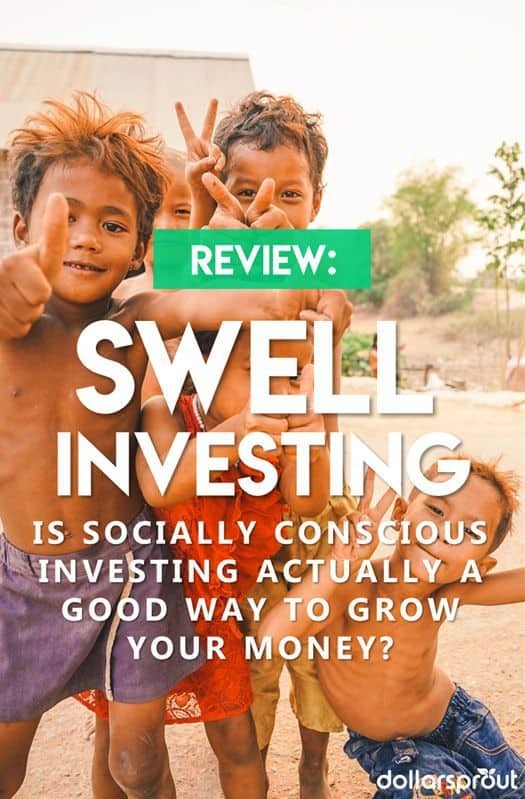 Swell is a good option for investors that want to add a component of socially-responsible investing to their portfolio while getting a say in which global initiative they want their dollars focused on. Ideal users of Swell have a long-term investment horizon and are comfortable with risks. Since small-cap growth stocks are inherently volatile, swings in Swell portfolios are going to be drastic through market cycles. I would also recommend choosing to place IRA funds at Swell over taxable funds because the tax-drag could be significant. To conclude this Swell investing review: With a focus on small-cap stocks, tax-inefficient strategy, and higher fees, I wouldn’t recommend Swell as your core investment method. 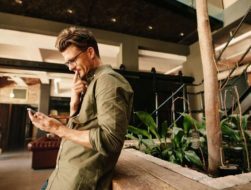 However, if you’re focused on socially responsible investing as a standalone part of your overall investment strategy, Swell is a solid choice. Hey been think about some investments This platform is right for me thanks. Acorns Review 2019: Is Investing Spare Change with an App Worth It?